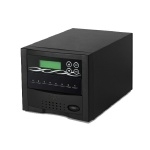 SD Card duplicators remain a popular item due to their small size and use in a wide variety of products. Choose your SD duplicator below. 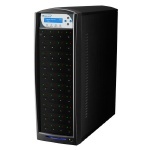 SD916S Apart from inheriting the high-speed performance and well-recognized compatibility with diversified media, the Intelligent 9 duplicators not only support duplication of large target count and capacity to meet high-volume demands, they also help users examine flash cards by providing the most accurate testing results known today. Compatible with most SD and microSD media. S63-SSP Newly added to the bestselling Spartan family, the Spartan SD Duplicators conveniently copies the most popular digital media, Secure Digital memory cards, without a computer. 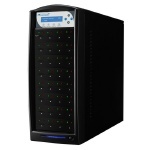 SD948S Apart from inheriting the high-speed performance and well-recognized compatibility with diversified media, the Intelligent 9 duplicators not only support duplication of large target count and capacity to meet high-volume demands, they also help users examine flash cards by providing the most accurate testing results known today. Compatible with most SD and microSD media. SD964S Apart from inheriting the high-speed performance and well-recognized compatibility with diversified media, the Intelligent 9 duplicators not only support duplication of large target count and capacity to meet high-volume demands, they also help users examine flash cards by providing the most accurate testing results known today. Compatible with most SD and microSD media. SD9120S Apart from inheriting the high-speed performance and well-recognized compatibility with diversified media, the Intelligent 9 duplicators not only support duplication of large target count and capacity to meet high-volume demands, they also help users examine flash cards by providing the most accurate testing results known today. Compatible with most SD and microSD media. 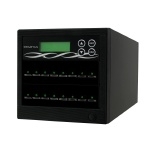 SD600PC Nexcopy introduces the all new Secure Digital Duplicator or the SD Duplicator, the SD600PC. With advanced copy features, small foot print and simple operation, the SD600PC is an economical solution for data loading and data distribution to SD flash memory. F15-SSP Newly added to the bestselling Spartan family, the Spartan CF Duplicator conveniently copies Compact Flash cards without a computer. F23-SSP Newly added to the bestselling Spartan family, the Spartan CF Duplicator conveniently copies Compact Flash cards without a computer. F31-SSP Newly added to the bestselling Spartan family, the Spartan CF Duplicator conveniently copies Compact Flash cards without a computer. cost-effective solutions which allow you to get more done in less time. CF107SA Nexcopy introduces our family of standalone CF duplicators. The Nexcopy standalone systems are performance driven. With ultra fast copy speeds which surpass USB 3.0 technology, the Nexcopy systems are cost-effective solutions which allow you to get more done in less time. These systems are ideal for making binary copies of any master CF device including bootable devices, proprietary formats or any other file system. CF115SA Nexcopy introduces our family of standalone CF duplicators. The Nexcopy standalone systems are performance driven. With ultra fast copy speeds which surpass USB 3.0 technology, the Nexcopy systems are cost-effective solutions which allow you to get more done in less time. These systems are ideal for making binary copies of any master CF device including bootable devices, proprietary formats or any other file system. CFD-SD-07 Microboards SD/MicroSD Card Duplicators offer true standalone asynchronous operation regardless of the size of the master content! 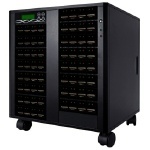 Available in 7, 11, or 15-slot configurations, users can make up to 15 copies at a time in a single system. CFD-SD-15 Microboards SD/MicroSD Card Duplicators offer true standalone asynchronous operation regardless of the size of the master content! 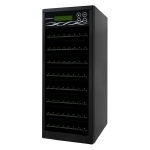 Available in 7, 11, or 15-slot configurations, users can make up to 15 copies at a time in a single system. SD932S Apart from inheriting the high-speed performance and well-recognized compatibility with diversified media, the Intelligent 9 duplicators not only support duplication of large target count and capacity to meet high-volume demands, they also help users examine flash cards by providing the most accurate testing results known today. Compatible with most SD and microSD media. S23-SSP Newly added to the bestselling Spartan family, the Spartan SD Duplicators conveniently copies the most popular digital media, Secure Digital memory cards, without a computer. S15-SSP Newly added to the bestselling Spartan family, the Spartan SD Duplicators conveniently copies the most popular digital media, Secure Digital memory cards, without a computer. 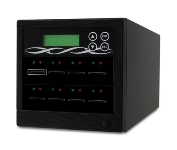 SD400PC Nexcopy introduces the all new Secure Digital Duplicator or the SD Duplicator, the SD400PC. With advanced copy features, small foot print and simple operation, the SD400PC is an economical solution for data loading and data distribution to SD flash memory. S07-ISP Newly added to the bestselling Spartan family, the Spartan SD Duplicators conveniently copies the most popular digital media, Secure Digital memory cards, without a computer. Our Price: $1,469.00 CALL for our lowest price! F07-ISP Newly added to the bestselling Spartan family, the Spartan CF Duplicator conveniently copies Compact Flash cards without a computer. 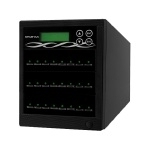 SDC07-SSP Spartan's SD/MicroSD duplicator features a user-friendly 4-key control panel with LCD, high speed duplication and bit-by-bit Compare function to confirm successful copies. Only carefully selected and tested materials are employed in Spartan's professional line up of SD/MSD Combo Series duplication systems. 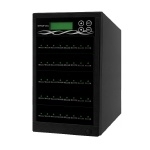 SDC15-SSP Spartan's SD/MicroSD duplicator features a user-friendly 4-key control panel with LCD, high speed duplication and bit-by-bit Compare function to confirm successful copies. Only carefully selected and tested materials are employed in Spartan's professional line up of SD/MSD Combo Series duplication systems. Our Price: $3,249.00 CALL for our lowest price! Our Price: $5,799.00 CALL for our lowest price! 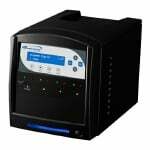 SDC23-SSP Spartan's SD/MicroSD duplicator features a user-friendly 4-key control panel with LCD, high speed duplication and bit-by-bit Compare function to confirm successful copies. Only carefully selected and tested materials are employed in Spartan's professional line up of SD/MSD Combo Series duplication systems. 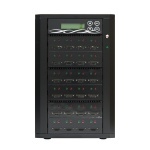 SDC39-SSP Spartan's SD/MicroSD duplicator features a user-friendly 4-key control panel with LCD, high speed duplication and bit-by-bit Compare function to confirm successful copies. Only carefully selected and tested materials are employed in Spartan's professional line up of SD/MSD Combo Series duplication systems. 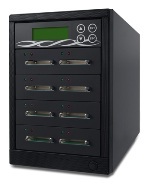 SDC63-SSP Spartan's SD/MicroSD duplicator features a user-friendly 4-key control panel with LCD, high speed duplication and bit-by-bit Compare function to confirm successful copies. Only carefully selected and tested materials are employed in Spartan's professional line up of SD/MSD Combo Series duplication systems. TF07-SSP Spartan's Micro SD duplicator features a user friendly 4-key control panel with LCD, high speed duplication and bit-by-bit compare function to confirm successful copies. Only carefully selected and tested materials are employed in Spartan's professional lineup of Micro SD series duplication systems. TF15-SSP Spartan's Micro SD duplicator features a user friendly 4-key control panel with LCD, high speed duplication and bit-by-bit compare function to confirm successful copies. Only carefully selected and tested materials are employed in Spartan's professional lineup of Micro SD series duplication systems. TF23-SSP Spartan's Micro SD duplicator features a user friendly 4-key control panel with LCD, high speed duplication and bit-by-bit compare function to confirm successful copies. Only carefully selected and tested materials are employed in Spartan's professional lineup of Micro SD series duplication systems. Our Price: $10,869.00 CALL for our lowest price! TF39-SSP Spartan's Micro SD duplicator features a user friendly 4-key control panel with LCD, high speed duplication and bit-by-bit compare function to confirm successful copies. Only carefully selected and tested materials are employed in Spartan's professional lineup of Micro SD series duplication systems. TF63-SSP Spartan's Micro SD duplicator features a user friendly 4-key control panel with LCD, high speed duplication and bit-by-bit compare function to confirm successful copies. Only carefully selected and tested materials are employed in Spartan's professional lineup of Micro SD series duplication systems. 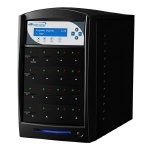 TF135-SSP Spartan's Micro SD duplicator features a user friendly 4-key control panel with LCD, high speed duplication and bit-by-bit compare function to confirm successful copies. Only carefully selected and tested materials are employed in Spartan's professional lineup of Micro SD series duplication systems. mSD600PC Nexcopy introduces the all new microSD duplicator flash card copier. The microSD Duplicator is specifically designed for the microSD form factor and does not require SD adapter cards. 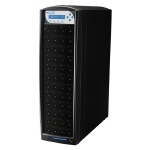 CF904S Apart from inheriting the high-speed performance and well-recognized compatibility with diversified media, the Intelligent 9 duplicators not only support duplication of large target count and capacity to meet high-volume demands, they also help users examine flash cards by providing the most accurate testing results known today. Compatible with most compact flash media. CF980S Apart from inheriting the high-speed performance and well-recognized compatibility with diversified media, the Intelligent 9 duplicators not only support duplication of large target count and capacity to meet high-volume demands, they also help users examine flash cards by providing the most accurate testing results known today. Compatible with most compact flash media. DM-FU0-CF8 FlashMAX USB/SD/CF duplicators easily and reliably create multiple copies of your flash media without a computer or software. 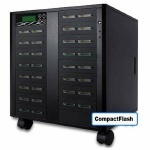 DM-FU0-CF16 FlashMAX USB/SD/CF duplicators easily and reliably create multiple copies of your flash media without a computer or software. DM-FU0-SD16 FlashMAX USB/SD/CF duplicators easily and reliably create multiple copies of your flash media without a computer or software. DM-FU0-SD40 FlashMAX USB/SD/CF duplicators easily and reliably create multiple copies of your flash media without a computer or software. 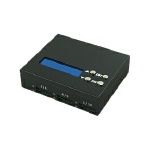 DM-FD0-24SD23B Flex Pro 23-target SD duplicator features 1/10 of regular SD duplicator size and extremely compact design. User friendly 4-key control panel with LCD, high speed duplication and bit-by-bit Compare function to confirm successful copies. Only carefully selected and tested materials are employed in Flex Pro Series duplication systems. DM-FD0-24A23B Flex Pro 23-target Micro SD duplicator features 1/10 of regular Micro SD duplicator size and extremely compact design. 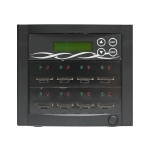 User friendly 4-key control panel with LCD, high speed duplication and bit-by-bit Compare function to confirm successful copies. 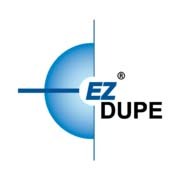 Only carefully selected and tested materials are employed in Flex Pro Series duplication systems. DM-FU0-10SDHDD Mobile Pro can back up from maximum 10 SD or Micro SD memory cards to a Hard Disk Drive (HDD) or SSD simultaneously. It is Slim, compact, and lightweight to carry around, and powered by power bank and car charger for mobility. Mobile Pro is GoPro compatible meaning that videos and photos taken by GoPro cameras can be fully backed up through Mobile Pro anytime and anywhere, to ensure that important data is never lost. Memory card and HDD/SSD are not included, and have to be purchased separately. 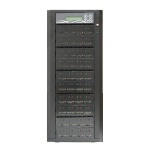 CF960S Apart from inheriting the high-speed performance and well-recognized compatibility with diversified media, the Intelligent 9 duplicators not only support duplication of large target count and capacity to meet high-volume demands, they also help users examine flash cards by providing the most accurate testing results known today. Compatible with most compact flash media. 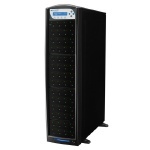 CF9120S Apart from inheriting the high-speed performance and well-recognized compatibility with diversified media, the Intelligent 9 duplicators not only support duplication of large target count and capacity to meet high-volume demands, they also help users examine flash cards by providing the most accurate testing results known today. Compatible with most compact flash media. SD908S Apart from inheriting the high-speed performance and well-recognized compatibility with diversified media, the Intelligent 9 duplicators not only support duplication of large target count and capacity to meet high-volume demands, they also help users examine flash cards by providing the most accurate testing results known today. Compatible with most SD and microSD media. 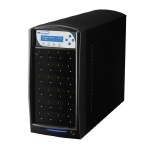 SD924S Apart from inheriting the high-speed performance and well-recognized compatibility with diversified media, the Intelligent 9 duplicators not only support duplication of large target count and capacity to meet high-volume demands, they also help users examine flash cards by providing the most accurate testing results known today. Compatible with most SD and microSD media. CF924S Apart from inheriting the high-speed performance and well-recognized compatibility with diversified media, the Intelligent 9 duplicators not only support duplication of large target count and capacity to meet high-volume demands, they also help users examine flash cards by providing the most accurate testing results known today. Compatible with most compact flash media. mSD400PC Nexcopy introduces the all new microSD duplicator flash card copier. The microSD Duplicator is specifically designed for the microSD form factor and does not require SD adapter cards. 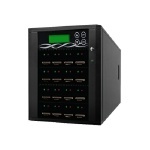 CF908S Apart from inheriting the high-speed performance and well-recognized compatibility with diversified media, the Intelligent 9 duplicators not only support duplication of large target count and capacity to meet high-volume demands, they also help users examine flash cards by providing the most accurate testing results known today. Compatible with most compact flash media. 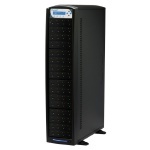 CF940S Apart from inheriting the high-speed performance and well-recognized compatibility with diversified media, the Intelligent 9 duplicators not only support duplication of large target count and capacity to meet high-volume demands, they also help users examine flash cards by providing the most accurate testing results known today. Compatible with most compact flash media. mSD200PC Nexcopy introduces the all new microSD duplicator flash card copier. The microSD Duplicator is specifically designed for the microSD form factor and does not require SD adapter cards. 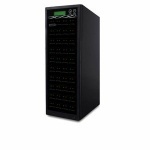 SD200PC Nexcopy introduces the all new Secure Digital Duplicator or the SD Duplicator, the SD200PC. With advanced copy features, small foot print and simple operation, the SD200PC is an economical solution for data loading and data distribution to SD flash memory. CF150PC Nexcopy is proud to introduce the retro-styled compact flash duplicator, the CF150PC. With advanced copy features, small footprint and simple operation, the CF150PC is an economical solution for data loading and data distribution via compact flash. CF300PC Nexcopy is proud to introduce the retro-styled compact flash duplicator, the CF300PC. With advanced copy features, small footprint and simple operation, the CF300PC is an economical solution for data loading and data distribution via compact flash. CF450PC Nexcopy is proud to introduce the retro-styled compact flash duplicator, the CF450PC. With advanced copy features, small footprint and simple operation, the CF450PC is an economical solution for data loading and data distribution via compact flash. CF916S Apart from inheriting the high-speed performance and well-recognized compatibility with diversified media, the Intelligent 9 duplicators not only support duplication of large target count and capacity to meet high-volume demands, they also help users examine flash cards by providing the most accurate testing results known today. Compatible with most compact flash media. SDShark-15T-BK Digital content is the driving force of content delivery in business and even consumer applications and is growing by leaps and bounds. One of the fastest growing methods for distributing content is through flash memory which is most commonly recognized as USB pen drives or SD/Compact Flash cards. Flash memory devices are used in a multitude of components including computers, smart phones, portable gaming devices, and other useful hardware applications. With so many devices able to use and specifically geared toward this form of digital media, content providers large and small will need a way to make quick reliable copies. This is why Vinpower Digital has developed a line of flash copiers like the SDShark duplicator which is capable of copying both standard SD and microSD cards without requiring an adapter. SDShark-23T-BK Digital content is the driving force of content delivery in business and even consumer applications and is growing by leaps and bounds. One of the fastest growing methods for distributing content is through flash memory which is most commonly recognized as USB pen drives or SD/Compact Flash cards. Flash memory devices are used in a multitude of components including computers, smart phones, portable gaming devices, and other useful hardware applications. With so many devices able to use and specifically geared toward this form of digital media, content providers large and small will need a way to make quick reliable copies. This is why Vinpower Digital has developed a line of flash copiers like the SDShark duplicator which is capable of copying both standard SD and microSD cards without requiring an adapter. SDShark-31T-BK Digital content is the driving force of content delivery in business and even consumer applications and is growing by leaps and bounds. One of the fastest growing methods for distributing content is through flash memory which is most commonly recognized as USB pen drives or SD/Compact Flash cards. Flash memory devices are used in a multitude of components including computers, smart phones, portable gaming devices, and other useful hardware applications. With so many devices able to use and specifically geared toward this form of digital media, content providers large and small will need a way to make quick reliable copies. This is why Vinpower Digital has developed a line of flash copiers like the SDShark duplicator which is capable of copying both standard SD and microSD cards without requiring an adapter. SDShark-39T-BK Digital content is the driving force of content delivery in business and even consumer applications and is growing by leaps and bounds. One of the fastest growing methods for distributing content is through flash memory which is most commonly recognized as USB pen drives or SD/Compact Flash cards. Flash memory devices are used in a multitude of components including computers, smart phones, portable gaming devices, and other useful hardware applications. With so many devices able to use and specifically geared toward this form of digital media, content providers large and small will need a way to make quick reliable copies. This is why Vinpower Digital has developed a line of flash copiers like the SDShark duplicator which is capable of copying both standard SD and microSD cards without requiring an adapter. SDShark-47T-BK Digital content is the driving force of content delivery in business and even consumer applications and is growing by leaps and bounds. One of the fastest growing methods for distributing content is through flash memory which is most commonly recognized as USB pen drives or SD/Compact Flash cards. Flash memory devices are used in a multitude of components including computers, smart phones, portable gaming devices, and other useful hardware applications. With so many devices able to use and specifically geared toward this form of digital media, content providers large and small will need a way to make quick reliable copies. This is why Vinpower Digital has developed a line of flash copiers like the SDShark duplicator which is capable of copying both standard SD and microSD cards without requiring an adapter. SDShark-55T-BK Digital content is the driving force of content delivery in business and even consumer applications and is growing by leaps and bounds. One of the fastest growing methods for distributing content is through flash memory which is most commonly recognized as USB pen drives or SD/Compact Flash cards. Flash memory devices are used in a multitude of components including computers, smart phones, portable gaming devices, and other useful hardware applications. With so many devices able to use and specifically geared toward this form of digital media, content providers large and small will need a way to make quick reliable copies. This is why Vinpower Digital has developed a line of flash copiers like the SDShark duplicator which is capable of copying both standard SD and microSD cards without requiring an adapter. SDShark-63T-BK Digital content is the driving force of content delivery in business and even consumer applications and is growing by leaps and bounds. One of the fastest growing methods for distributing content is through flash memory which is most commonly recognized as USB pen drives or SD/Compact Flash cards. Flash memory devices are used in a multitude of components including computers, smart phones, portable gaming devices, and other useful hardware applications. With so many devices able to use and specifically geared toward this form of digital media, content providers large and small will need a way to make quick reliable copies. This is why Vinpower Digital has developed a line of flash copiers like the SDShark duplicator which is capable of copying both standard SD and microSD cards without requiring an adapter.